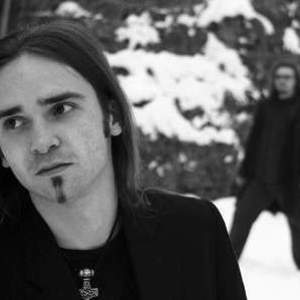 Fjoergyn is a German melodic/pagan metal band formed in 2003. Currently it consists of only two members, and they are looking for a drummer and a guitarist. The name "Fjoergyn" is the name of an Earth Goddess from Viking Mythology. On March 29, 2005 they released their debut album Ernte im Herbst on the record label Black Attakk. It is a concept album about nature's revenge against mankind. They used a drum machine since they had no drummer at the time of the recording. On March 29, 2005 they released their debut album Ernte im Herbst on the record label Black Attakk. It is a concept album about nature's revenge against mankind. They used a drum machine since they had no drummer at the time of the recording. After leaving Black Attakk the band signed with Reartone Records. Their sophomore album "Sade et Masoch", a concept album about the nature of man, was released on June 29, 2007. By 2009, Fjoergyn was with label Trollzorn on which their third album, "Jahreszeiten", was released on the 10th of September that year.